Background/Purpose: Treatment with tumor necrosis factor inhibitor (TNFi) with methotrexate or triple therapy (MTX, sulfasalazine, and sulfasalazine) is considered in patients with rheumatoid arthritis (RA) who have inadequate response to methotrexate (MTX) alone. One of the safety concerns of both these treatment strategies is serious infection. We compared the rate of serious infection among two treatment groups. Methods: We used Truven MarketScan data (2003-2014) to conduct an observational cohort study among RA patients ≥18 years old with MTX prescription. We identified initiators of triple therapy when both HCQ and SSZ were newly added to MTX. TNFi initiators were identified when they newly started a TNFi in addition to MTX treatment. Index date was the first dispensing date of the last drug to complete triple therapy or a TNFi. We excluded patients with malignancy, dialysis, HIV, nursing home stay or hospitalized infection, and any prior use of study drugs except MTX during a 180-day baseline period before the index date. Outcome was defined as time to hospitalized bacterial or opportunistic infections based on inpatient diagnosis codes. In as-treated analysis, patients were followed from the day after index date until first of the following events: outcome occurrence, disenrollment, death, or drug switching or discontinuation. In an intention-to-treat (ITT) follow-up approach, we also followed patients until 180 days and 365 days after the index date without censoring on drug switching or discontinuation. For confounding adjustment, we used propensity score fine stratification weights that accounted for demographics, comorbidities, medication use, and healthcare utilization factors. A weighted Cox-proportional hazards model estimated the hazard ratio (HR) and 95% confidence interval (CI). Results: We identified 45,305 TNFi initiators and 1,388 triple therapy initiators. Mean age was 53 (±12) years in both groups. Patients in two treatment groups had similar baseline characteristics except that the TNFi group had more psoriasis and inflammatory bowel disease, underlying use of bisphosphonate, proton pump inhibitors, and more use of healthcare system. Two treatment groups had a similar incidence rate of outcome in as treated analysis (adjusted HR = 1.06, 95%CI 1.79-1.41). ITT analyses also showed consistent results (Table). Conclusion: Among RA patients with inadequate response to MTX, the risk of serious infection was similar after starting a TNFi versus triple therapy adjusted for baseline confounding. Disclosure: Y. Jin, None; E. H. Kang, None; R. J. Desai, None; A. Tong, None; S. C. Kim, Roche, Pfizer, and Bristol-Myers Squibb, 2. Jin Y, Kang EH, Desai RJ, Tong A, Kim SC. Risk of Serious Infection Associated with TNF Inhibitor Versus Triple Therapy in Rheumatoid Arthritis Patients [abstract]. Arthritis Rheumatol. 2018; 70 (suppl 10). 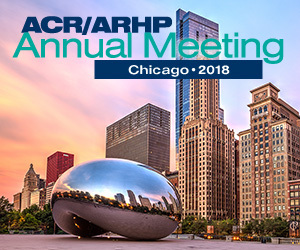 https://acrabstracts.org/abstract/risk-of-serious-infection-associated-with-tnf-inhibitor-versus-triple-therapy-in-rheumatoid-arthritis-patients/. Accessed April 19, 2019.